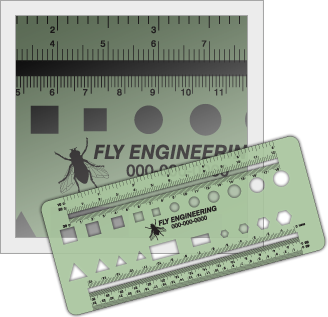 This piece contains a variety of cutouts that pertain to the engineering field. It can be customized as you desire. This template incorporates a variety of shapes in graduated sizes. Cutouts are hexagons, triangles, circles and squares. It also features slots with custom engineering scales. 3.25" x 7.375" x .030"